Since WineCoolerLab is aimed more at the lifestyle wine enthusiast than fine dining restaurateurs, our focus in on helping wine connoisseurs and regular wine lovers get the most out of their wining experience. With that in mind we’re not going to get into the technical details about how wine is served “the correct way” in a formal dining setting. 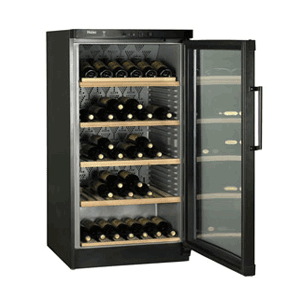 Our comprehensive list of wine cooler reviews was put together to help you cover the storage and chilling part of your wines, so that each of your favorites maintains its integrity, quality and characteristic taste. 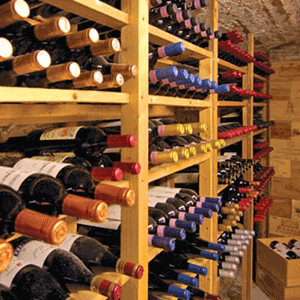 We trust that by now you know exactly how to choose the best wine cooler for your personal wine storage, display and chilling needs and that you fully understand the requirements for storing and maturing your wines properly. 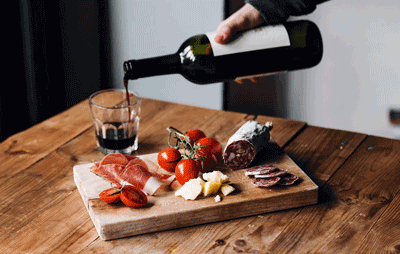 Our focus will now shift to what is perhaps the most important part of your wine-loving exploits; pouring a glass of your favorite variety to appropriately galvanize the occasion, whether you’re entertaining a few of your fellow wine-loving guests or indeed if you’re having your daily glass with your dinner. 44 to 57 degrees Fahrenheit for whites, with some of the nippier whites only having a tolerance of up to 56 degrees (better stored closer to 44 degrees), while some whites like the oak-matured ones generally thriving closer to the 57 degree mark. Some good sparkling wines and Champagnes also fall under this white wine temperature serving range, otherwise you can go as cool as 38 to 45 degrees Fahrenheit with the more “affordable” sparkling wines and Champagnes. 53 to 69 degrees Fahrenheit for reds, which you’ll notice is just a tad bit under room temperature. The lighter red wine varieties like your Pinot Noirs would be served closer to the 53 degree threshold, otherwise going cooler than that tends stifle the flavor of your reds. Cutting the foil at the lip’s top for visual effect when popping a bottle for a formal dinner or for “showy” events like wine-tasting, otherwise cutting the foil at the lip’s bottom is more traditional and also prevents dripping. Poking the bottle’s cork slightly wide of the central point so that the opener’s worm (spiral) drills in towards the center and doesn’t touch the sides of the bottle’s neck/mouth. Ensure to turn the worm thoroughly into the cork (about seven swirls will normally do) so as to avoid breaking a small bit off the cork and leaving some behind (and the wine unopened). Be careful not to poke a hole right through the cork though if you’re planning to re-cork the bottle. 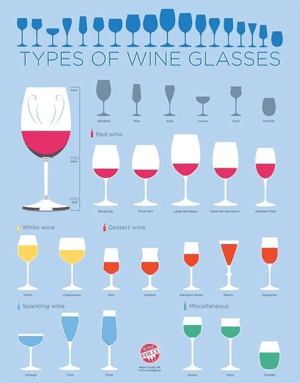 Complementary to these variations, wine glasses all have two things in common, namely their general shape (you know what a wine glass is when you see one) and the thin tubular part used to hold the bottle so that the wine stays cold and doesn’t warm up as a result of heat transferring from your hand. Glass is great, but crystal is even better by way of materials used in wine glasses. Steer clear of plastic wine glasses though.